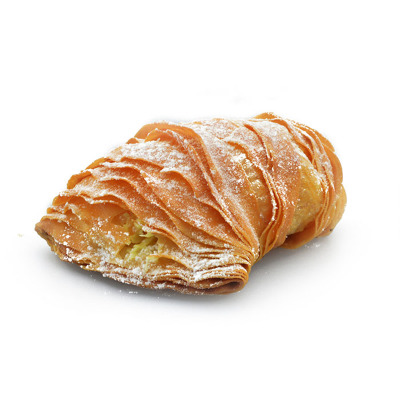 An Italian Specialty, a Flaky Pastry in the Shape of a Lobster Tail, Filled with Hazelnuts Chocolate Cream and Dusted with Icing Sugar. 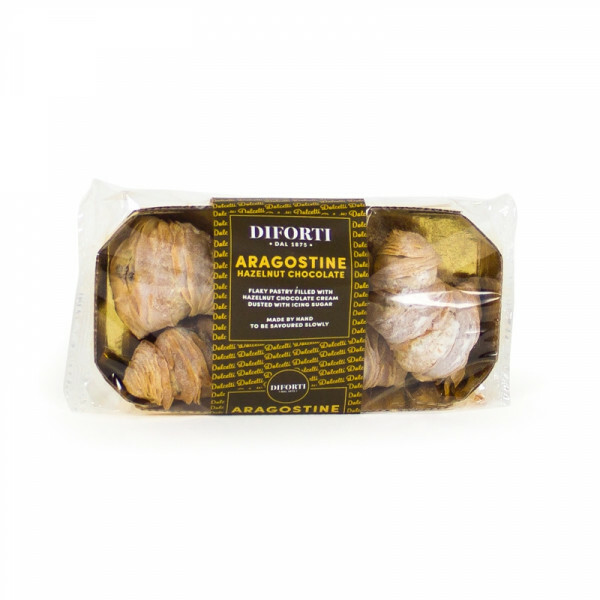 A’ sfogliatella, sometimes called a lobster tail in English, is a shell-shaped filled Italian pastry native to Campania. 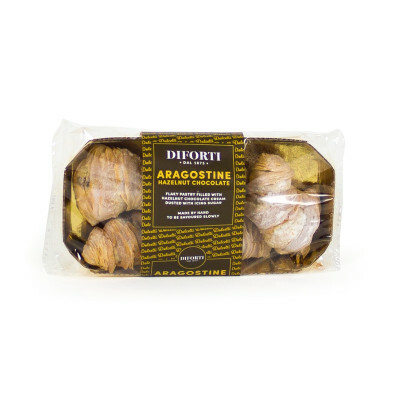 Sfogliatella means "small, thin leaf/layer", as the pastry's texture resembles stacked leaves. In this case filled with delicious hazelnuts chocolate cream. 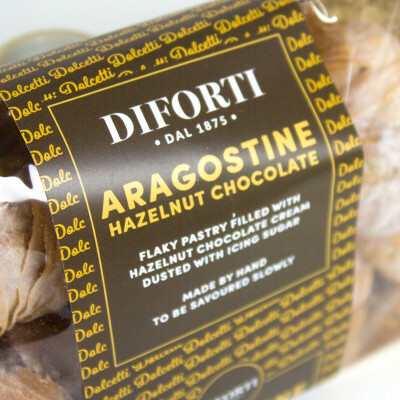 Pastry : Wheat Flour , vegetable oils (sunflower , palm) Pasteurised Eggs, sugar, salt, emulsifiers : (E471, Soya Lecithin) Preservative (E202) , Acidity regulator (E330) , Flavourings, Colours (E160b, E100) Hazelnuts Filling Cream : Sugar, vegetable oils (sunflower, palm) Cocoa powder, lactose (milk) , Hazelnuts (2%) Skimmed Milk powder, Emulsifier : Soya Lecithin, Flavourings. GLUTEN Decoration: Dextrose , wheat starch, vegetable fats (Palm, coconut) Vanillin.